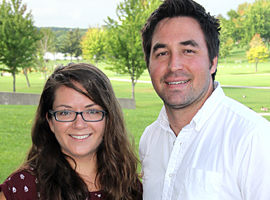 Cornwall, Ontario – Cornwall’s economy continues to be strong, with employers expanding and adding new positions. 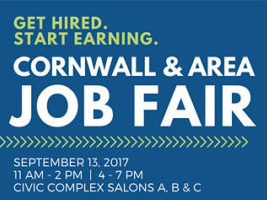 Job seekers will have a chance to meet employers up close and personal at the Cornwall and Area Job Fair in October. 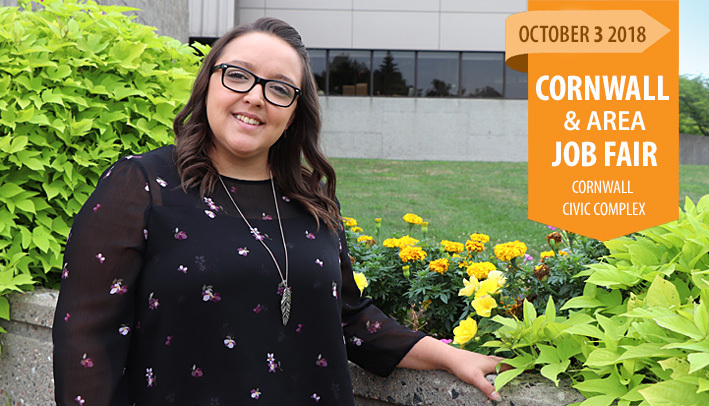 The Job Fair will be held at the Cornwall Civic Complex on Wednesday, October 3 and is being organized by the Social Development Council (SDC). The event is free and open to anyone seeking employment or volunteer opportunities in Cornwall, Stormont, Dundas, Glengarry, and Akwesasne. Both sessions will feature Cornwall, SDG, and Akwesasne employers from various sectors including transportation, warehousing, service and sales, retail, hospitality, and social services. An information session that will help companies learn more about available government support programs, such as the Canada Ontario Job Grant, is also being planned. 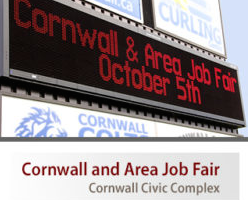 This is the fourth consecutive year that a Job Fair has been held in Cornwall. Last year’s event featured 30 employers and attracted nearly 600 job seekers from across the region. Job seekers will be able to speak directly to recruiters at the Job Fair, and personally hand over their résumés. A list of available jobs in Cornwall can be found on the ChooseCornwall.ca Job Board. Job Fair booths are available for employers and social service agencies looking to fill part-time and full-time positions for the fall and winter season. Companies interested in registering for a booth should contact Carilyne Hébert at 613-703-7563. This event is being organized by the Social Development Council of Cornwall and Area – Employability Network, in cooperation with the City of Cornwall, Cornwall Economic Development, Job Zone d’ Emploi, Glengarry Interagency Group, Eastern Ontario Training Board and the Akwesasne Area Management Board.